In some situations symmetry dictates that we use another unit cell which is bigger than the primitive unit cell but which is simpler to work with. Such a unit cell is called a conventional unit cell. If we keep stacking the conventional unit cells without leaving any gap we would have obtained the lattice over all space, just as before. Unlike a conventional unit cell, one can associate no more than one lattice point with a primitive unit cell. Below is a java applet which shows different unit cells. Click on them to see which are conventional and which are primitive. 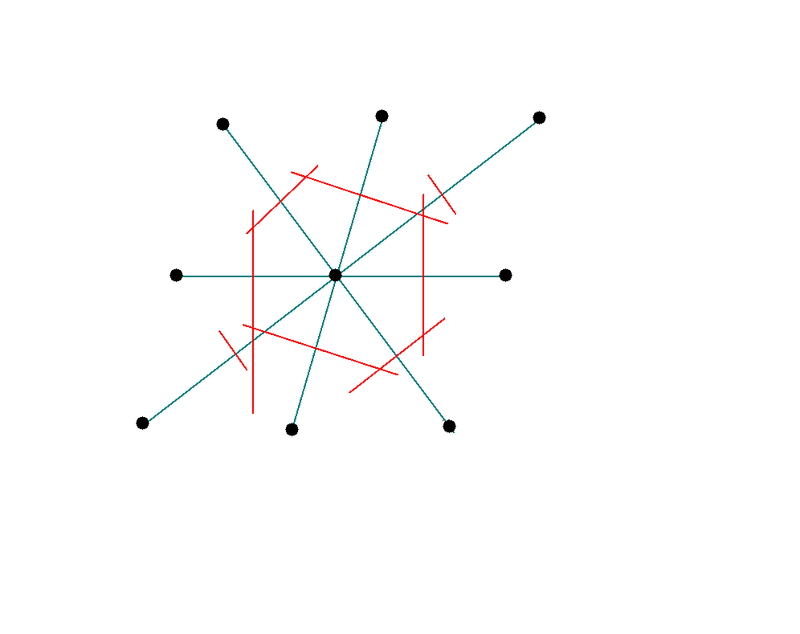 (i) We start with an array of points in the (direct) lattice. (ii) We connect any one lattice point to all the neighbouring lattice points with lines. (iii) At the mid point of these lines we draw normals (if we started out with a two dimensional lattice) or normal-planes (if we started out with a three dimensional lattice). The smallest area (or volume) enclosed in this way is called the Wigner-Seitz primitive cell of the direct lattice. All space may be filled up without leaving any gap by joining these Wigner seitz primitive cells.